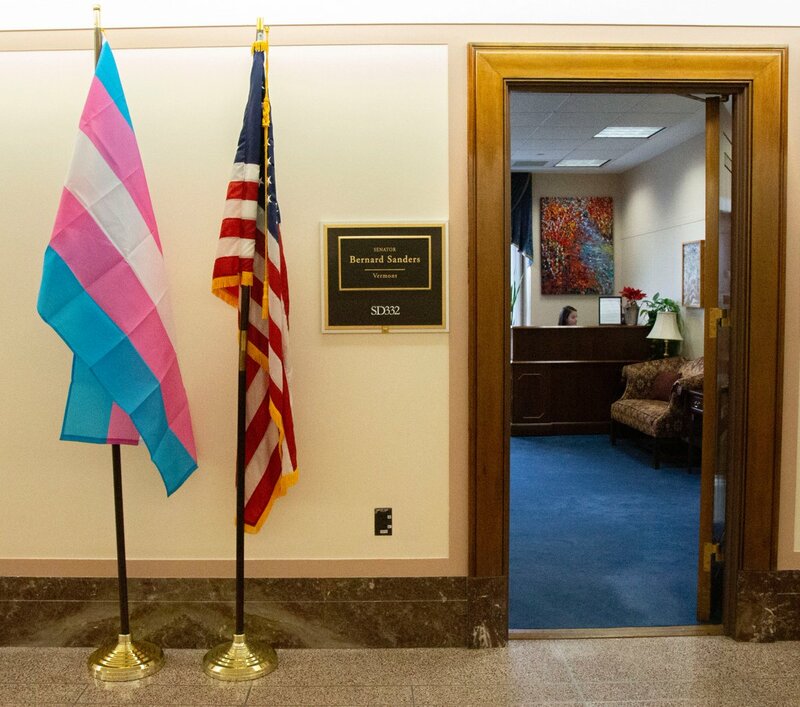 Bernie Sanders displayed a flag supporting the transgender community outside his office on Capitol Hill. UNITED STATES—Members of Congress have taken down their Prisoner of War/Missing in Action flags to display transgender pride flags in their place. 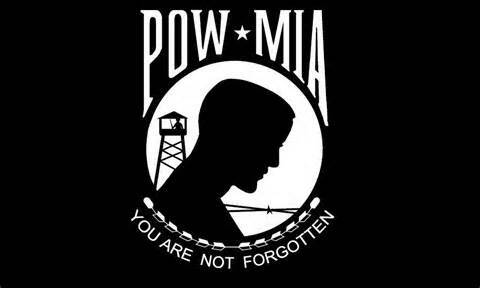 The POW/MIA flag was created for the National League of Families of American Prisoners and Missing in Southeast Asia and was officially recognized by Congress in conjunction with the Vietnam War POW/MIA issue. 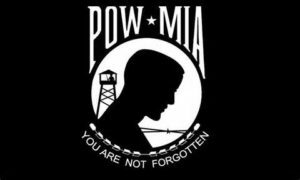 According to their website, the National League of Families POW/MIA flag, sometimes the flag consists of a silhouette of a POW before a guard tower and barbed wire in white. The words, “You Are Not Forgotten” appear below in white on a black background. According to www.pol-miafamilies.org, there are still 1,589 Americans missing and unaccounted for from the Vietnam War. Flags showing support for the transgender community were given to lawmakers by the National Center for Transgender Equality to “challenge the nation’s leaders to support trans people,” who reportedly stated, “that they are “under siege” by the Trump administration due to the trans military ban which took place back in 2017. The ban prevents transgender individuals from serving in the U.S. military in any capacity. It is unclear why the National Center for Transgender Equality has waited two years to make a rebuttal to this law. 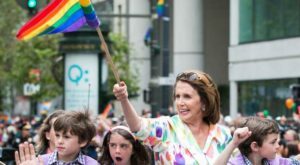 Nancy Pelosi waving the Pride flag. Members of Congress displaying their flags outside their officers on Capital Hills showing support for the transgender community included Nancy Pelosi, Alexandria Ocasio-Cortez, Bernie Sanders, and many others. The flags supporting the transgender community are being displayed over the Missing In Action and Prisoner of War flags, for Transgender Day of Visibility which was on Sunday, March 31.